I love soups. They’re more than starters/appetizers for me, I like to have them as the main course with a good deal of bread for dipping. 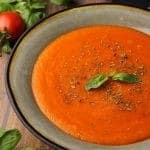 You can probably tell how much I like soups, since I’ve already made a bunch of them for this blog, like this one, this one and this one and let’s not forget this one! 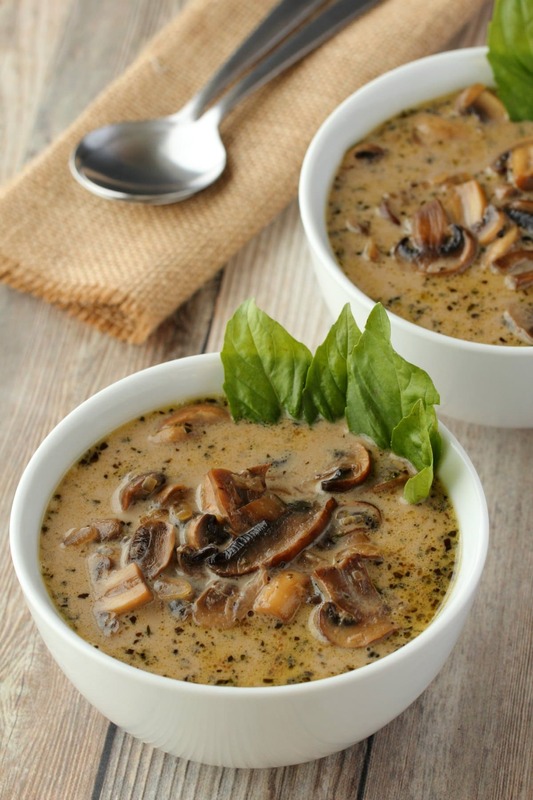 I’ve long been a fan of this vegan cream of mushroom soup. 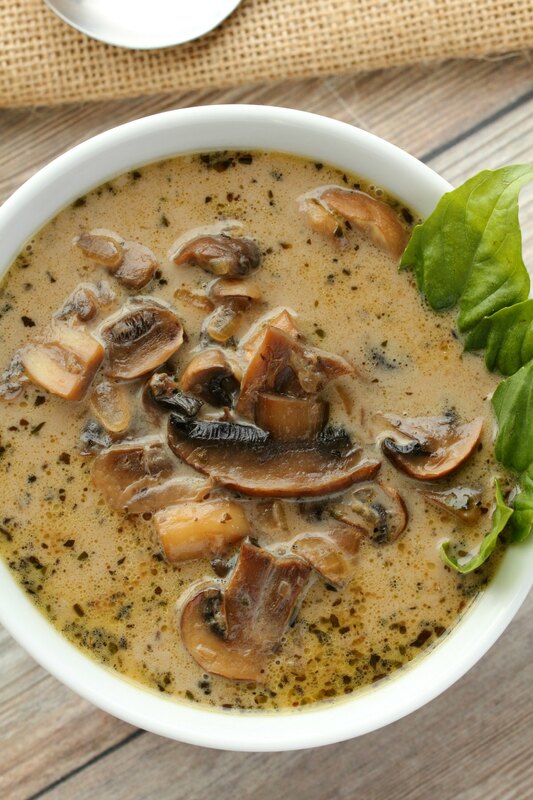 The flavors just blend soooo well, and it’s ultra creamy and delicious. It’s also really rather a snap to make. 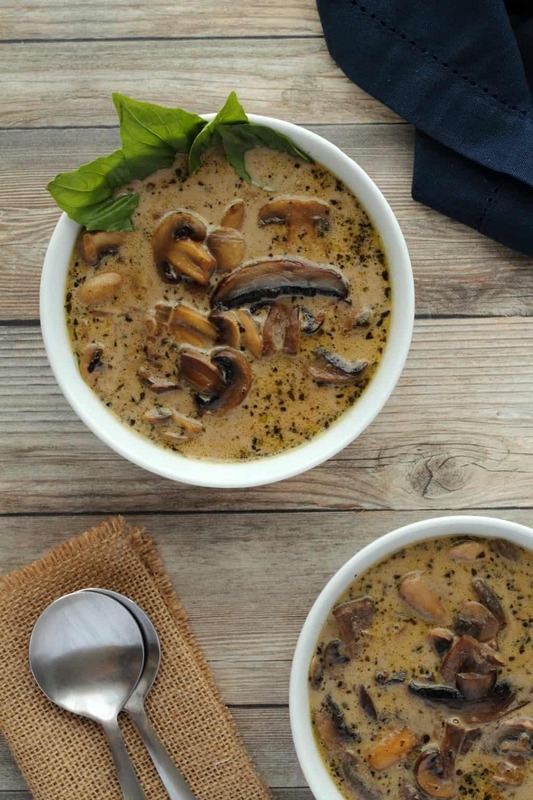 I used 3 kinds of mushrooms in this soup. 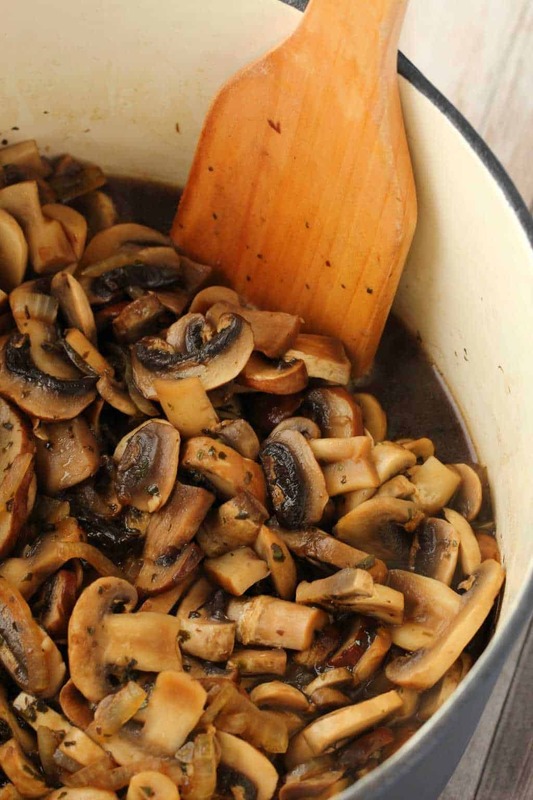 White button mushrooms, brown button mushrooms (portobellini) and portobello mushrooms. 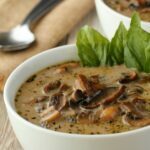 I’ve also made it in the past with just white button mushrooms and portobello mushrooms, so it just depends on what’s easy to get hold of. If you want to mix it up – go for it! And then the creaminess is from the coconut milk. 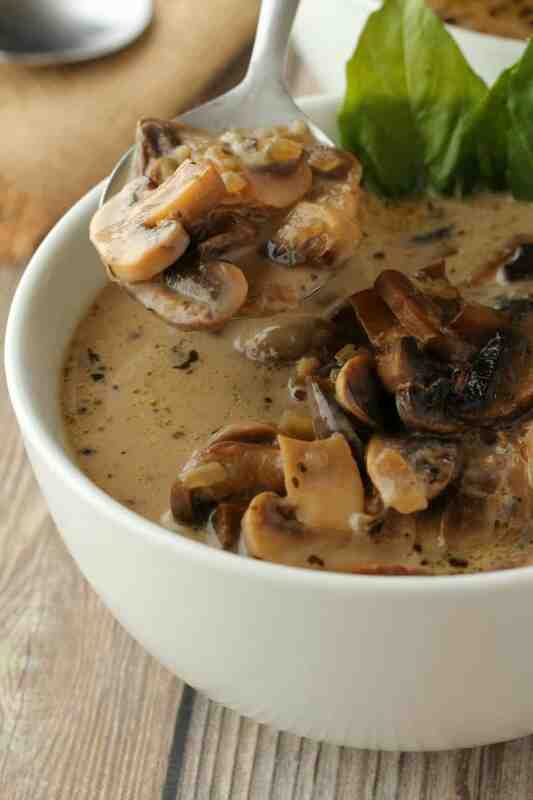 I’ve also made this recipe using coconut cream, but it’s very rich. If you like things ultra rich, then you can also try it with coconut cream, but I think you’ll find the coconut milk is quite rich enough. 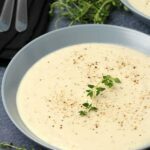 I’ve made this soup in the past and blended it up using an immersion blender, but I must say it’s better unblended. 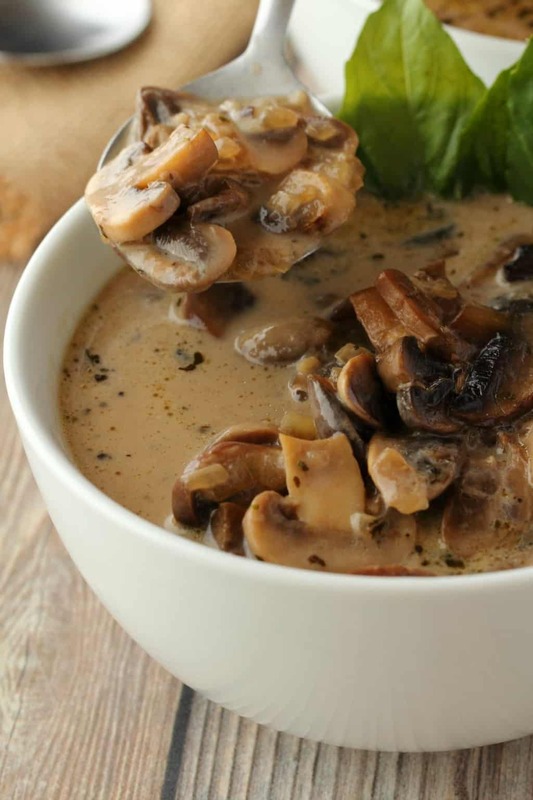 Most soups are better blended, but in the case of this soup, it works better unblended with the creamy soup and chunky mushrooms. 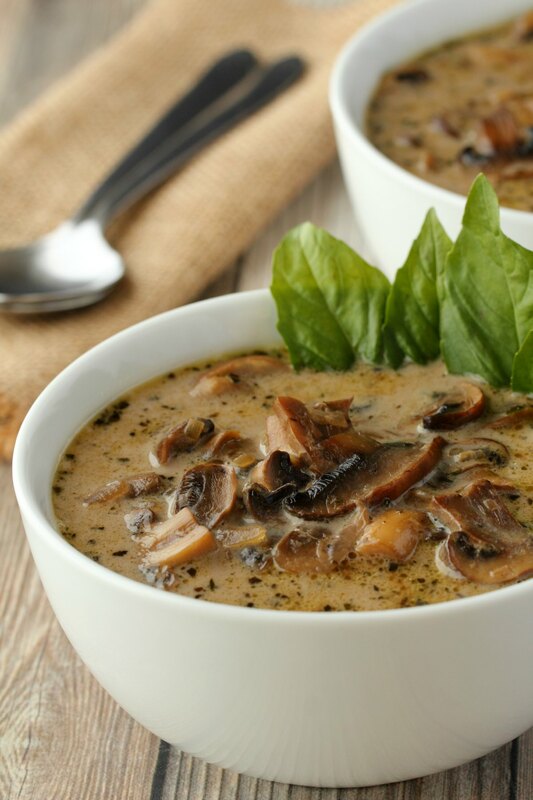 The mushroom flavors really mix in with the creaminess of the coconut milk and spices and it all just works! 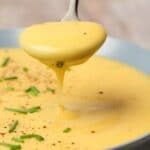 Have it as an appetizer and it will serve 4, or have it as a main course with some fancy bread (or just regular bread), it’ll serve 2 and you can call it dinner! So what do you think? 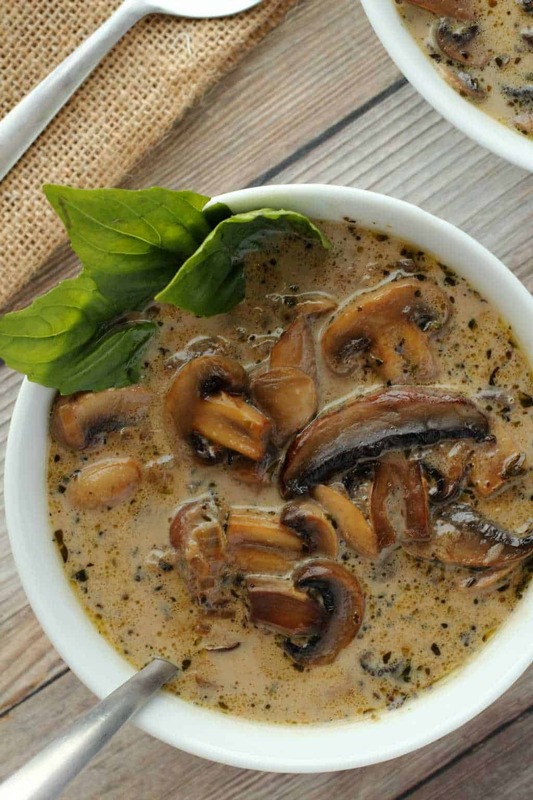 Keen on some vegan cream of mushroom soup? 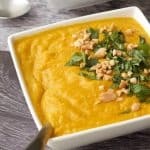 Let me know what you think in the comments and please rate the recipe too! Thanks! And do sign up to our email list for a fabulous (and free!) 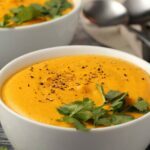 recipe ebook and to stay updated with all our latest recipe posts! 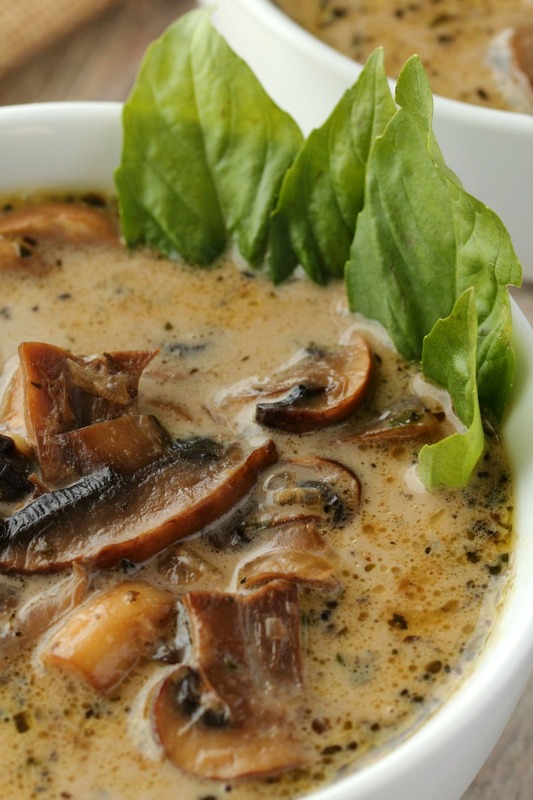 Simple and ultra creamy vegan cream of mushroom soup. 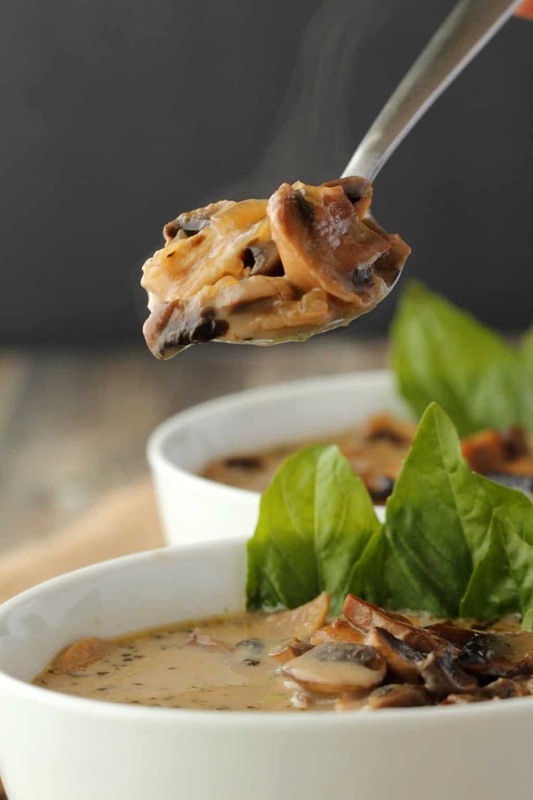 Rich and flavorful and deliciously satisfying, this soup makes an ideal appetizer. Gluten-Free. Add the olive oil to a pot with the onion and garlic, dried oregano and basil and sauté briefly. 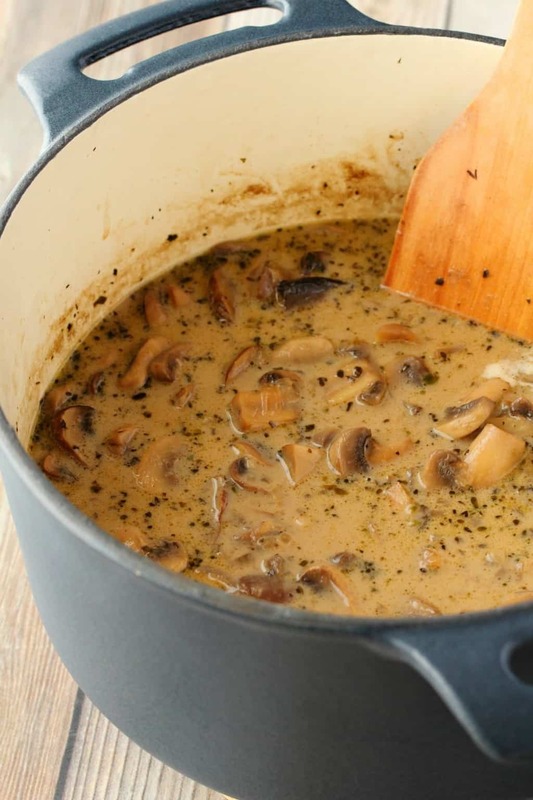 Then add the coconut milk and cook for a final 10 minutes, stirring occasionally, allowing the flavors to blend properly. 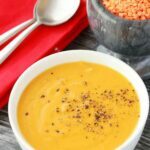 I just made this soup and WOW it tastes amazing! !